India Buildings in Water Street Liverpool, was completed early in the year 1931, the site is bounded by, Water Street and Brunswick Street and with side frontages on to Fenwick Street and Drury Lane, the building is in the heart of the business and banking quarter of Liverpool. In 1833, the foundation stone of old India Buildings was laid, and it was built to the designs of Franklin, the Architect, was completed in 1834. one hundred years before the date of the completion of the new India Buildings, George Holt conceived the idea of erecting a block of light and offices, whereas before then the business transactions of merchants and ship owners had been conducted on the ground floors of private dwellings, or more frequently in dark and dingy "counting-houses" partitioned off from warehouses. The original India Buildings, although well built was demolished in 1928, and the old India Buildings occupied less than half the area of the current one. There was originally a narrow lane called Chorley Street which crossed the centre of the site. 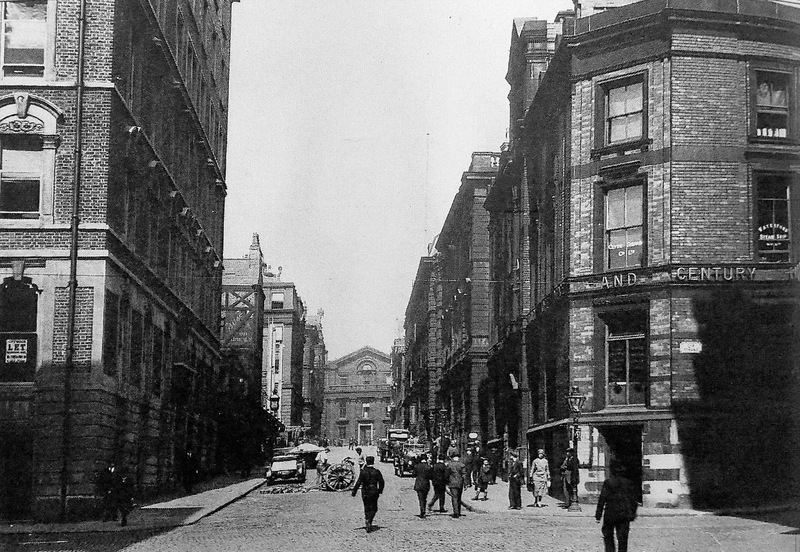 India Buildings, Fenwick Chambers, Fenwick Court and The Atlantic surrounded a court yard on the upper side of this lane, while Canton and Commercial Buildings, Seaton Buildings, Cereal chambers and several buildings came between Chorley Street and Drury Lane. 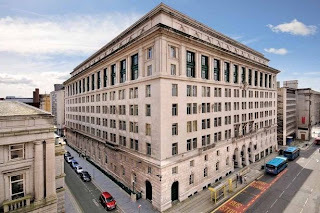 Liverpool Corporation started negotiations in June , 1922 for a new building, as it was decided that it would be in the interest of the city to widen Water Street and that Fenwick Street should be increased in width it was also decided that Brunswick Street would remain unaffected. 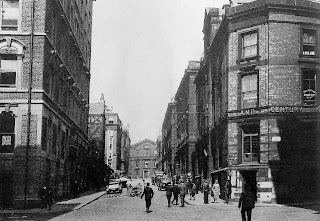 It was decided that Chorley Street would be closed and the new India Building would be built across it, and at the same time Water Street would be widened by 18feet and Fenwick Street to be widened to forty-two feet, Drury lane was to be widened by eight feet on the India Buildings side. The Associated Architects for the Building were Messrs Briggs and Thornely F.F.R.I.B.A. and Mr Herbert J Rowse F.R_I.B.A.,Mr J. R. Sharman M.Inst C E ., acted as Consulting Engineer for the steel framework and Mr. A. G. Ramsey, AM.Inst.C.E., for the heating and ventilation. The General Contracts were Messrs. Wm. Thornton and Sons. Ltd., of Liverpool. Messrs Borman, Long & Co., Ltd., supplied and erected the steel framework. To accommodate Messrs Alfred Holt and co., and other tenants of old India Buildings, it was essential that the new building should be constructed in two separate and independent parts, divided roughly by the line of the upper side of Chorley Street, so that old India Buildings could remain intact until the first part of the new building was completed and ready for occupation. Therefore it was decided that the main entrances for the new building would be in the centre on Water Street and Brunswick Street. This design gave rise to the arcade that is there today and houses numerous shops. The building has two light courts that are formed above first floor level, running across the main axis of the building. The interior columns are arranged in lines running parallel to each other so that the two parts of the building are symmetrical from the first floor level upwards. 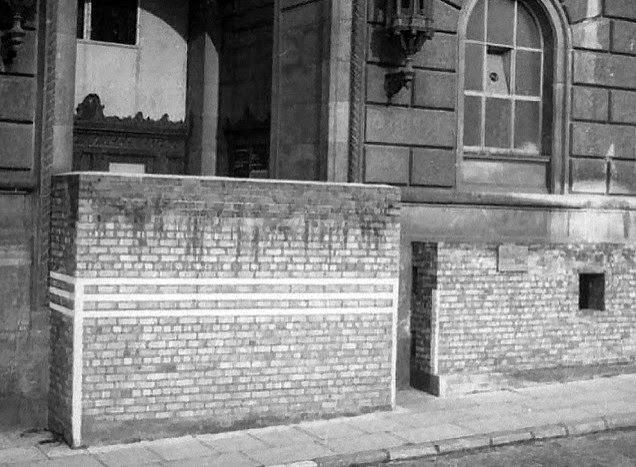 In the early hours of Saturday 3rd May 1941, the Luftwaffe attacked the business centre of Liverpool with land mines. The first two landed short of the property but the third hit the front of the Corn Exchange Building, which collapsed and left its debris piled against India Buildings, completely closing Brunswick Street. The blast of the third mine shook India Buildings and smashed nearly all the windows, many of the internal walls were displaced and structural damage was extensive throughout the building. Embers of burning wood were carried by the wind into the windowless building and caused numerous small fires on all floors above street level. During the first few hours the buildings fire fighters extinguished these fires as fast as they occurred. The pressure of the water supply became so low that water was no longer available and the fire fighters were rendered helpless. The second floor was soon gutted and the other floors followed quickly. The fires spread from the Brunswick Street frontage along the Fenwick Street side of the building with remarkable rapidity. The strong wind, the draught up the light courts, stairways and lift shafts, and the dryness of the internal fittings and furnishings towards the end of a season of central heating all contributed to the rapid gutting of the upper eight floors of India Buildings The basement shops in Brunswick Street and Drury Lane and the south west section of the ground floor and mezzanine were also for the most part burnt out. The remainder of the building was damaged by blast but the garage in the basement, apart from the loss of the doors by fire, suffered no fire damage and the cars which the proprietors had been advised to keep at the back of the premises away from the doors were intact. Prior to the outbreak of war in 1939 India Buildings was practically fully let and became fully occupied during 1940. The opportunity was taken to make such alterations in the design, planning and equipment of the building which once again make it a comfortable and up-to-date business centre, cable of competing successfully with the new commercial buildings.